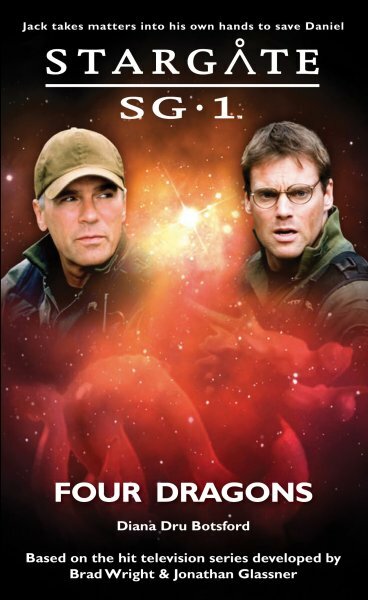 It was meant to be a soft mission, something to ease Doctor Daniel Jackson back into things after his time among the Ancients — after all, what could possibly go wrong on a simple survey of ancient Chinese ruins? As it turns out, a whole lot. After accidentally activating a Goa’uld transport ring, Daniel finds himself the prisoner of Lord Yu, the capricious Goa’uld System Lord. 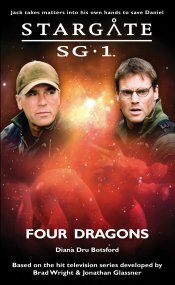 Meanwhile, SG1’s efforts to rescue their friend are hampered by a representative of the Chinese government with an agenda of his own to follow — and a deep secret to hide. But Colonel Jack O’Neill is in no mood for delay. He’ll go to any lengths to get Daniel back — even if it means ignoring protocol and taking matters into his own hands. Unable to stand, unable to sit, Daniel hung from handcuffs latched to the top and side of a barely four-foot high cage. He tried to shift his weight, crouching in an awkward position that did little to stop the aches in his shoulders and thighs. He’d heard about cages like this one. Communist China allegedly used them to torture political prisoners. After a few days, the victim’s legs would become swollen. In severe cases, necrosis can happen to feet, ankles and legs. Usually, the cages were set outdoors, exposing the prisoner to the elements. In Daniel’s case, the cage was set just outside the door to Yu’s throne room. So much for scoping out an escape route.